On Thursday, March 25, 2010, Dr. Ingrid Mattson delivered the 7th annual Thomas H. Lake Lecture to an audience of approximately 120 people who came from both in- and out-of-state to see her speak. Among those in attendance were university professors, students, leadership of the Islamic Society of North America, Jewish and Christian clergy, and representatives of multiple Indianapolis-area Muslim congregations. Following greetings from both Dr. Patrick Rooney (Executive Director of the Center on Philanthropy) and Dr. Charles Bantz (Chancellor of IUPUI), Dr. Bill Enright (Director of the Lake Institute) introduced the Institute’s first female and first Muslim lecturer. Petite, and wearing a blue and green hijab, Dr. Mattson commanded the audience’s attention with her clear voice and dynamic address. Entitled “Zakat in America: The evolving role of Islamic charity in community cohesion,” the address was an important one for the Muslim community, according to several audience members. Dr. Mattson described zakat –one of the five pillars of Islam – as a wealth tax or a “system of transfer” whereby those who have share with those who do not. The Prophet Muhammad told leaders of Muslim communities to “take (zakat) from their rich and return it to their poor” as the tax was “an obligation to God” more than to the poor and all that we have is but a “gift from God.” Historic Islamic law emphasized the local distribution of zakat “within a community” where the poor were not “strangers” living at a distance but neighbors and people with whom the rich had emotional and social attachments. However, times change. The social demographics and economic patterns of life in America are often different from cultures in which many Muslims were born; here, we tend to live in social enclaves determined by wealth and income. In terms of social proximity, the poor are often more distant than close, people with whom the wealthy have little if any attachment. The definition of wealth also becomes problematic as in a consumerist culture it is more difficult for people to evaluate their spending and resources realistically. Dr. Mattson concluded with a series of suggestions as to how zakat might be promoted in the U.S. in such a way as to encourage community cohesion and balance the needs of struggling Muslims. Zakat cannot “fix” a society, but it can close the gap between those who have more and those who have less. Following the lecture, Dr. Mattson signed copies of her book, The Story of the Qur’an, for a long line of attendees. Others stood and discussed the lecture over coffee and sweets. Following the reception, a small group of Lake Institute board members, the Chancellor, ISNA leadership and special guests joined Dr. Mattson for an intimate dinner to continue discussing the implications of her address. The formal lecture will be published by the Lake Institute in summer 2010 and will be available for purchase on this website. Contact us if you would like to be notified when the lecture is available. 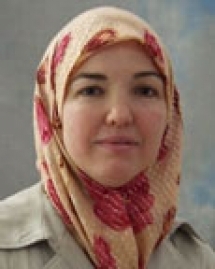 Dr. Ingrid Mattson is Director of and professor at the Macdonald Center for the Study of Islam and Christian-Muslim Relations, as well as Director of Islamic Chaplaincy, at Hartford Seminary in Hartford, Connecticut. Born in Canada, She became Vice President of the Islamic Society of North America (ISNA) in 2001 and President in 2006, and is the first convert to Islam and the first female to lead the international organization. The Islamic Society of North America is an independent membership organization dedicated to “the betterment of the Muslim community and society at large” by eliminating prejudice and promoting peaceful coexistence among Muslims and also between Muslims and people of other diverse traditions. ISNA supports diplomatic solutions to conflict; develops educational, social and outreach programs designed to foster good relations among religious communities; and has also been involved in recent humanitarian relief work in areas such as Darfur and South East Asia. Charles Bantz, Chancellor of IUPUI, welcomes the audience to the 7th Annual Thomas H. Lake Lecture. Dr. Mattson signs copies of her book, The Story of the Qur’an. Dr. Mattson signs her book for a guest. Dr. Mattson speaks with Imam Michael Saahir and his wife during the reception. Safaa Zarzour, ISNA Secretary General, speaks with Patrick Rooney, Executive Director of the Center on Philanthropy. Scott Alexander and Shakeela Hassan, members of the Lake Institute Advisory Board, respond to Dr. Mattson at an intimate gathering following the Lake Lecture.